Indian Sandalwood, whose botanical name is Santalum album, is the tree where Sandalwood oil is derived through the process of steam distillation. This oil is rich but not overpowering and it has a blend of woody and earthy notes. Sandalwood essential oil has been considered a sacred oil because it is more particularly used in spiritual practices, meditations, and ceremonial incense. This is so because the oil has a very potent positive effect on the soul and senses, particularly soothing in cases of anxiety or panic attacks. Sandalwood oil fuses nicely with Bergamot, Geranium, Black pepper, Lavender, Rose, Myrrh, Vetiver and Ylang-Ylang. Sandalwood is found to be rich in sesquiterpenes, a naturally sourced chemical substance present in specific essential oils, which is thought to be responsible for bringing in health advantages especially for the brain. It's usually utilized for skin care, nervous system, and musculoskeletal conditions. It is one of the oils that can pass through the blood brain barrier, an integral aspect of promoting general wellness. However it is popular most likely due to the psychological and aromatic impact that it brings. - To help treat signs of aging and large pores on skin, apply 1-2 drops of Sandalwood to your face and cover head with a towel and place your face over a bowl with steaming water. The steam will open your pores and let the essential oil penetrate deep into your skin for a more intense treatment. - To make hair shiny, apply 1-2 drops of Sandalwood oil to wet hair. - To treat dry hair, add quite a few drops of Sandalwood to coconut oil and apply to dry hair. - To relieve sagging skin and make it firmer and tighter, combine 5 drops Sandalwood, 5 drops Lavender and 5 drops Patchouli essential oils together with 8 drops Cypress. - To minimize wrinkles, combine equal parts of Sandalwood, Geranium, Lavender, Lemon, Rosemary, and Frankincense oils and apply on areas with wrinkles. - To make a great make up remover, combine 1/2 cup hot water with 1/4 castile soap, then add 10 drops Sandalwood Essential oil and 2 tablespoons coconut oil. Get Your Sandalwood Essential Oil Now! I like this Sandalwood (Australian) Essential Oil. It is claimed to be 100% Pure, Undiluted, Therapeutic Grade and as far as I can tell it is. 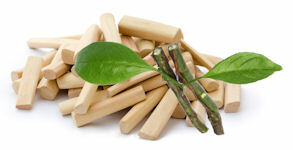 The claimed health benefits of Sandalwood essential oil can be attributed to its properties as an antiseptic, anti-inflammatory, antiphlogistic, antispasmodic, astringent, cicatrisant, carminative, diuretic, disinfectant, emollient, expectorant, hypotensive, memory booster, sedative and tonic substance.